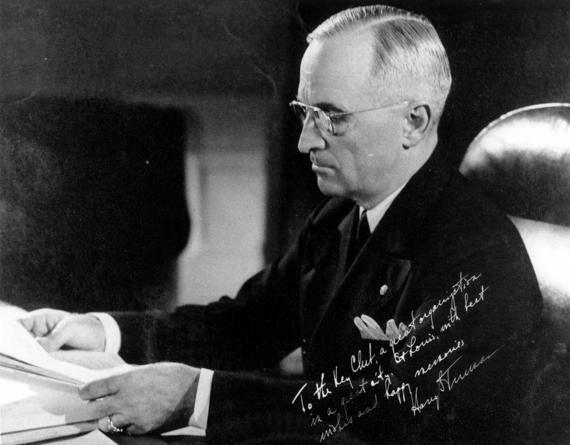 The Missouri Democratic Party has changed the name of its longstanding biggest event, traditionally known as the Jefferson-Jackson Dinner, to honor instead the state’s most famous Democrat: Harry S Truman. State Democratic Party chairman Roy Temple says the change was all about acknowledging Truman, a popular former president. But state Sen. Jamilah Nasheed, who has called for the name-change for years, suspects the move also may be tied to her longstanding beef about naming the dinner after two presidents who owned slaves. Two years ago, Nasheed, D-St. Louis, had announced she wouldn’t attend the state party dinner until the name was changed. “These are two presidents that did … major harm to African Americans,’’ she said at the time. Nasheed said someone with the state party had called her shortly before the latest state committee meeting to alert her about the planned change. “I thanked them for doing the right thing,’’ she said. St. Louis County Democratic Party chairman Matt Robinson sits on the state committee and was involved in the name-change discussion. He said the issue of slaves wasn't mentioned during a conference call to discuss the issue. "If that was the motivation, it didn't come up," Robinson recalled. But Nasheed suspects the matter did play a role. “I think it’s the climate we’re in right now, with this racial overtone,” she said, referring to fallout from Ferguson and the current national debate over the Confederate flag. Nasheed added, however, that she really didn’t care why the state Democratic Party is changing the name of its biggest event. She’s just glad that it’s been done. And party officials should save a place for her at the dinner. “I’ll be attending that one,” Nasheed said. “And I’ll do all I can to support it." The event is slated for Aug. 29 at Busch Stadium in downtown St. Louis. The headliners are to include U.S. Sen. Claire McCaskill, state Attorney General Chris Koster (who’s running for governor) and Secretary of State Jason Kander (who’s running for the U.S. Senate).